Mise à jour 23.10.0 – C̶̹̃h̴̊̍̐͜i̶͓̩͛̽m̸̨̈́͘e̴̤̒ŕ̸͉͋̕å̸̙̭͕ ! The launch of The Sacrifice back in June 2018 was the last Mainline update to go out, and it was no doubt a hefty one. There was much for the entire DE team to comb through and we find this to be the case with all Mainlines. As we say with all Mainlines, we can’t catch everything that may fall through the cracks, meaning you may see some WIP or unintentional things that are not meant to be live. Enjoy Update 23.10 and we’ll be here for Hotfixes and the usual! A new type of challenge is available to players that have completed the entire Solar Map! ARBITRATIONS are here, read on to learn everything you need to know! The Arbiters of Hexis are providing you with the chance to fight with something unknown to most Warframe missions: Mortality! Arbitrations are single-life missions that put you in a scenario where you have to make your only life count! Every hour you’ll be presented with a new Arbitration. These missions are always Endless! Rewards are earned at double-the-usual interval (every 10 Defense waves, every 10 Survival minutes), etc. Rewards are on an ABCCCCCCCCCCC (repeat C to infinity) rotation. Any A/B/C interval reward you receive is kept after you die or fail the mission (anything picked up off the ground is lost though)! Missions feature a new Arbiter-themed drone enemy that effectively shields nearby enemies. A keen team will coordinate to take these protective units out! Each successful interval will earn you a new “Vitus Essence” resource that can be used to build some new cosmetic items offered by an Abiters NPC in the their respective Arbiters Enclave in any Relay. PER PLAYER BOONS! Every Arbitration features a custom boon to you! 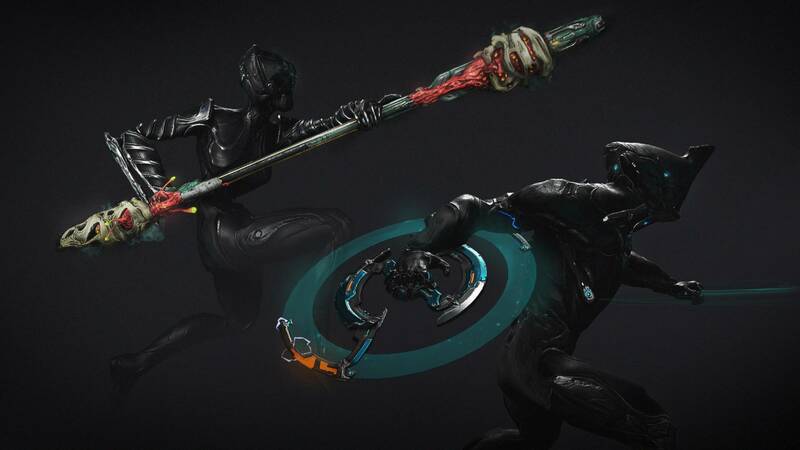 A given Warframe and Weapon will receive substantial bonuses if used. Survival: Life Support Capsules are worth 75% of what they’re normally worth! Interception: Towers controlled by enemies fill the “Opponent” progress bar at double the rate! Defense: You’re protecting an NPC and have much less downtime between waves! Excavation: Increased Defense time to 3:00! Defection: Rescue targets have no revive state! Infested Salvage: Consoles have half their normal Health! Rolling Guard (Warframe): On Dodge: Become invulnerable for 3s and remove all Status Effects. 7s cooldown. Adaptation (Warframe): When Damaged: +10% resistance to that Damage Type for 20s. Stacks up to 90%. Arbitration exclusive Resource known as ‘VITUS ESSENCE‘ used for crafting Arbitration Cosmetics! Note: Failure is a rare thing in Warframe, in the month of September only 2.5% of all missions were Failed. Prepare yourself for a new reality where failure may become the norm for these missions – can you overcome the odds!? A two-pronged attack; the bone-grafted cocoon at the tip of this staff rends flesh, while the viral mass living within spreads itself into the wounds of each new victim. Carve through enemies with surgical precision using this Corpus-tech Glaive. Find both these new weapons in the Market or in your Clan Research! Artistry meets lethality with this elegant Dagger Skin. Bludgeon, hack, and maim with this improvised Machete skin fashioned out of broken Grineer weapons. Find both these new weapon Skins in the Market! Operators now have an A / B / C Customization config option for clothing and accessories! Dethcube – Energy Generator: Dethcube drops an Energy Orb after assisting in 10 kills. Shade – Ambush: When Ghost invisibility is broken, Shade’s owner is granted 120% Damage for 3s. New infinite Gear spiral! Is it truly infinite? No. BUT 99 Gear items is a lot and we challenge you to reach the limit. Also featuring new drag/drop sounds! A ‘Relics’ category has been added to the player Inventory menus. Added objective marker pointing players to Konzu when entering Cetus for the first time. Added new aiming in/out transition sounds for Archwing weapons. We added these for primaries and secondaries in 22.16.0, but now you get to hear them in SPACE! Added the ability to purchase multiple Forma Bundles from the Market at once. Joyride: Travel over 10,000 meters on a stolen Dargyn across the Plains of Eidolon. Added more Community Fan Art to the Codex for your Display decorating enjoyment! Removed “Defeat 3 Eximus enemies on EARTH” requirement from Venus Junction. Lowered “Defeat 10 Eximus enemies on Venus” requirement on Mercury Junction to 5 Eximus enemies in any region. Lowered “Defeat 10 Sentient enemies on Lua” requirement to 5 Sentient enemies. Lowered “Collect any 3 Mods from the Orokin Principle challenge rooms on Lua” to 1 Mod. The much discussed changes have arrived – they are quite straight forward, but if you want to really dive deep into them please start with our Dev Workshops for history! On the major Milestone days (every 50 days between 0-1000) you will be presented with up to 3 Choices! These choices will still respect the original chronological release, and by the next time you reach a given category, you’ll see a new item appear in place of what you’ve already chosen (if applicable). 1. Sigils and Resources. Days 50,150,250, etc. 2. Primed Mods. Days 200,400,600, etc. 3. Weapons. Days 100,300,500, etc. Scaling Day-to-day: Scale all the things! One important thing to clarify is that the in-game items received on the non-Milestone Days in Daily Tribute system now scale based on the amount of days you have logged on. Endo is an example well documented in the past Workshop, but this also applies to Credits, Booster Durations, Resources, Syndicate Medallions, Relics, and Forma Blueprints. The way this Scaling works is that we have chosen a base amount of a given item and applied a multiplier that reflects your current amount of Days logged in – it does vary by item type! For example, on Day 1 I get 1 x Tellurium, but on Day 1000 I get 6 x Tellurium! 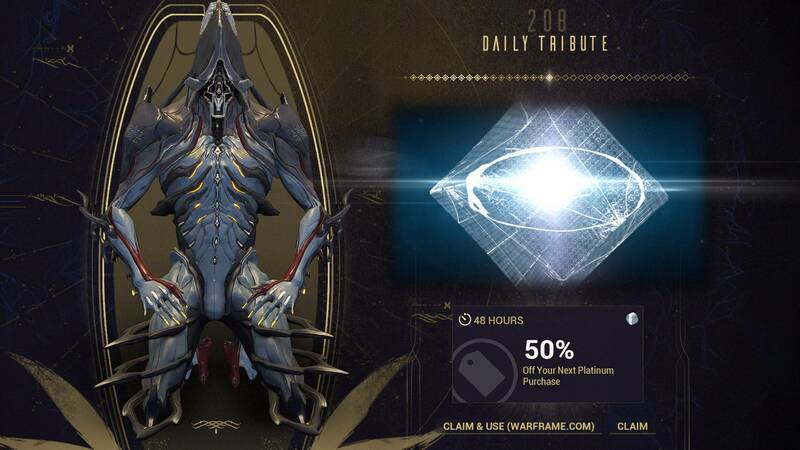 There is now a fixed Day 5 Reward of 25,000 Credits and 1000 Endo. Our goal is to make it only slightly more flexible while still respecting the core need to login frequently. Personalization is a huge part of Warframe and we think that this changes the Daily Tribute system to better reflect that. The Lodestar Syandana and the Lodestar Armor Set – they are staying at Day 800 / 1000 respectively. We have added custom lines and videos to each Daily Tribute which brings a Warframe NPC out to greet you on your new day. We recently made the surprising discovery that Miasma’s damage multiplier for targets affected by Spores never actually worked. It has been fixed and will now work as we’ve intended it to originally. That said, seeing as it has been absent until now, we have increased the damage multiplier from 2x to 4x to encourage even more synergy between the two abilities. Miasma base Damage has been halved. Spores scaling Damage cap per second has been reduced from 100,000 to 70,000. As always, we watch for your feedback and encourage you thoroughly test out the changes first before leaving your thoughts. Thank you! As we have added more complex Operator outfits and Armor Sets, we’ve made revisions to the some of the existing cosmetics to allow for better sharing of aesthetics among sets. There are now new seams on the shoulders, neck, and waist of multiple outfits which will make mix & matching less jarring! Revenant’s Reave wall width is now affected by Range Mods. Revenant’s Reave now also sheds Status Effects on cast and applies them to targets it hits. Fixed Revenant’s Thralls not granting Affinity when killed. Fixed Revenant’s Danse Macabre being able to damage Nullifier bubbles (and then killing the Nullifier). Fixed enemies affected by Revenant’s Enthrall and then a Radiation Status Effect being able to enthrall the Defense target, preventing the wave from ever ending. Fixed Revenant Reave not using Modded Health/Shield steal values. Fixed Revenant’s Reave Abilities page not properly showing the Modded Health/Shield steal values. Fixed Revenant’s Thrall death pillars blocking projectiles. Fixed various Syandana clipping issues with Revenant. Phantasma’s Alt Fire homing projectile amount is no longer based on charge time. Alt Fire now releases 5 total homing projectiles. Phantasma’s Alt Fire damage per projectile now scales based on charge time. Over 40 FX Decorations and 7 structural Decorations have been added for your decorating enjoyment! A brand new Sandbox room has been added! 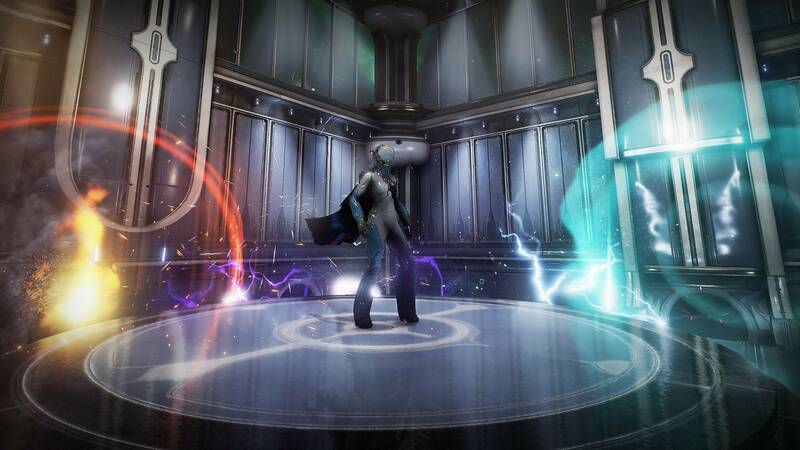 Check your Dojo Room Building options for the ‘INSPIRATION HALL’! This empty great hall is a blank slate awaiting inspired designers! All Display Decorations are now usable in Dojos, as well as a ‘Text’ Decoration! A confirmation prompt now appears when a Clan Chat Moderator attempts to kick/ban a player. Added a toggle to ‘Show All’ or ‘Hide Owned Blueprints’ in the Energy, Bio, Orokin, and Chem Labs. Added 3 more options in the Contribution screen under Alliance header for donating Credits, Decorations, and Resources to other Allied Clans. Initiates can no longer purchase/replicate Clan Research (contributing allowed). This prevents new recruits from joining and bailing once they have taken their fill of Research. You can now toggle ‘Disable Operator’ on/off from the Dojo Obstacle Course console at the entrance of the room! The Clan screen now displays the remaining time to those who have not yet participated in the Ascension Ceremony (if one is active). Ammo is now successfully restored when a Dojo Duel is over. Improved visibility of the room rotate button in the Dojo Architect menu, and added shortcut indicators for mouse and keyboard, and for controllers. Added “Duplicate” button to Dojo (and Orbiter) Decoration modes. Pressing it duplicates the aimed at Decoration, including its scale (where applicable) and rotation. Melee 3.0 continues in development, but the Sound Team has gone above and beyond to bring hot fresh sounds for all Melee weapons! New impact sounds for all Melee weapons. New slam sounds for all Melee weapons. New heavy attack sounds for all Melee weapons. New slide attack sounds for all Melee weapons. Added Melee sounds to Valkyr’s Hysteria ability. Cleaned up Melee weapon sounds when hitting floors and walls during combat. Removed music occlusion when bullet jumping. Introduced ‘BEAST’ category for Kubrows, Kavats (instead of COMPANIONS) and the Helminth Charger, and added ‘ROBOTIC’ category for Sentinels. Remaining Mods that indicate ‘COMPANION’ are useable across all Companion types. Mask of the Revenant quest has been added to the Codex. Archwing Launchers are now infinite use! It will also auto-equip instead of having to locate/pickup the Launcher spawn. Primed Quickdraw is now tradable! The Klebrik Scaffold now resets Sentient resistance as it was intentionally meant to. Increased Staticor’s charged shot AoE size from 2m to 8m and is no longer affected by charge level. Energy, Health, Shield and Ammo restores have a new look! Their refreshed look helps them visually indicate what they restore, with an added range ring to indicate if you’re in close enough proximity to the Restore. Now you will no longer have to guess what flavor of pizza your fellow Tenno dropped! Ammo Stations in the Plains now only generate Ammo used by the weapon of the player who activated it. Also lowered the Ammo Station cooldown by half. Improved ability to parkour your way across a sloped wall. Optimized away more shader memory. Players with an active Radiation Status Effect can no longer trigger Radiation on other players. Tweaked audio on Khora’s Accumulating Whipclaw Augment. Tweaked start times of dynamic music in The Void. Optimized the Clem Noggle to not load up erroneous content that impacted performance. We now show un-owned ‘bundle-only’ skins in the Arsenal where appropriate (i.e viewing a single Sword Appearance options). The Price tag will reflect these are ‘bundle only’. Tweaked the Convectrix and the Attica to have better combat sounds. Made various optimizations to NPC path-finding. Simulacrum enemy level selection popup now defaults to currently selected enemy level. Changed the Archwing max height in The Plains of Eidolon to 100 meters (previous intentions were a max height of 50 meter). Corpus enemies now have a consistent FX color (common blue/teal) instead of various shades. 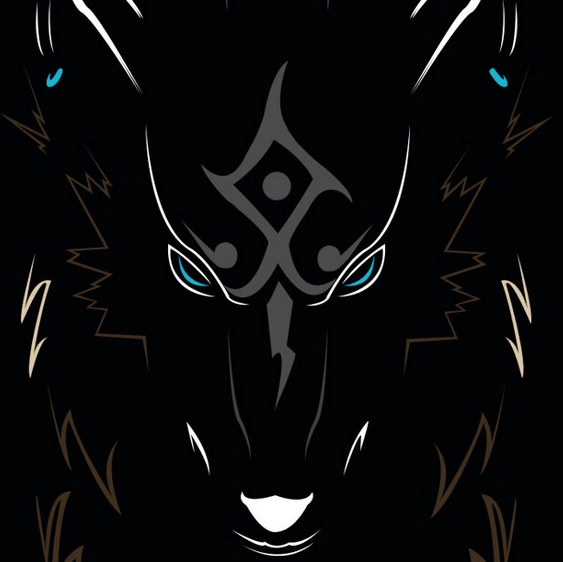 Improved Emblem visibility on Kubrows when equipped with Armor. Fishing Hotspots should now be identical between all players (Host & Client)! Improved scaling of inventory and vendor menus on ultra-wide screens. Updated weapon FX for the Arca Plasmor, Castanas, and Sancti Castanas. Improved AI pathing logic in the Lua tileset. Changed Ambulas’ dropship emissive to have distance fade. Made slight animation polishes to Isaah in The Sacrifice Quest. Darkened yellow in the Orokin Theme for the floating content highlight text to improve visibility. Improvements to performance when streaming into the Plains of Eidolon. Tweaked random encounter position selection to increase enemy activity in the Plains of Eidolon. Made some aperture improvements to the Plains of Eidolon. Shortened mission titles for The Archwing Quest to fit better on star chart. Updated windows in some of the Grineer Spy mission vaults to prevent NPCs from spotting players through the glass. Made shade adjustment to the Equinox UI theme so that the highlight color on select content matches the background better. Made several TAA improvements: fixed blurring under motion, much higher quality, and much sharper results! Updated the Exilus Adapter Inventory description to ‘Fuses with a Warframe to unlock the Exilus Mod Slot’ to reduce confusion. Improved the Grineer Courier’s flight navigation in Archwing Pursuit missions. Operators no longer play their Idle Animations when customizing them – similar to Warframes. Updated the header art and simplified the description for Hunter Set Mods! Promo codes are no longer case-sensitive when entered in-game or on the Warframe website! Updated Melee slam and elemental FX! Cleaned up Melee FX when hitting an enemy. Polished and fixed various Plains of Eidolon objective UI. Improved systems for detecting driver compatibility issues on legacy graphics cards. Nightwatch Napalm’s napalm fireball origin no longer block projectiles. Corrected the Gram Prime’s Melee Combo Counter values to be the same as other Melee weapons (excluding Venka Prime). Smoothed out some stuttering when holding Volt’s Electric Shield. Changed Coupon wording from ‘-50%’ to ‘50% OFF’ for clarity. Darkened the Captura Play button in the advanced camera controls to improve visibility. Linked items in Chat that can’t be purchased with Platinum now have a Build tab which explains where to build the item. Made Sentinel movement smoother by basing Sentinel rotation and position on the player’s movement primarily. Made minor improvements to the Moa Noggle animations. Lowered the brightness of Amphis’ Energy lighting. 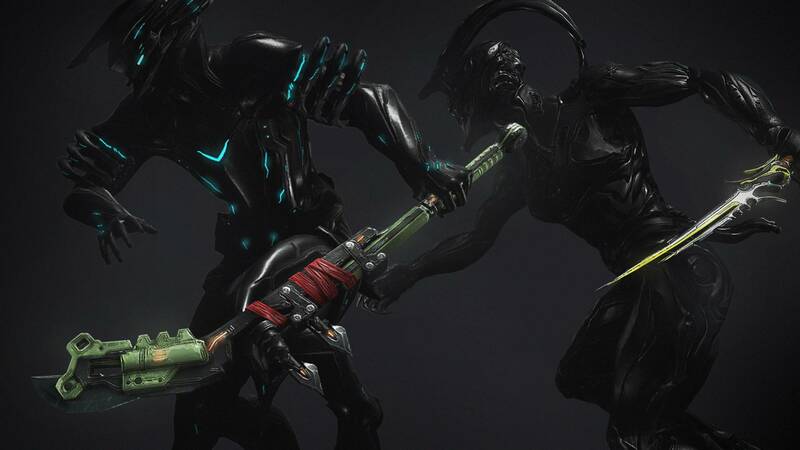 Improved Melee weapon swap and block hints for Vor’s push beam in the Vor’s Prize quest. Updated Arcane Rank Icon colors so they will be easier to read on light backgrounds. Changed how Noggles scale to improve the quality of detail. Improved the Loki Kodama Skin brightness and clarity. Changed the color of the Health Restore Gear Wheel item to green. Slightly tweaked the direction of ejected weapon clips during reload animation. Valkyr’s Warcry buff indicator now displays the buff value in addition to the duration. Improved the way players perceive gun fire and explosion sounds at long distances in the Plains of Eidolon. The sounds are now more believable at long distances and give players a more accurate perception of enemy distance. Increased the odds of Bounty objectives spawning in caves in the Plains of Eidolon. Increased Capture end timer during Void Fissure missions from 3 minutes to 5 minutes. Players now have more time to collect Reactant when cracking Relics in these missions. Made a micro-optimization to casting Nidus’ Ravenous, Oberon’s Hallowed Ground, or Octavia’s Amp. Made some micro-optimizations to numerous beam effects (weapons, Shield Auras, etc). Made a micro-optimization to drawing certain types of lights. Made some micro-optimizations to particle systems and cloth simulation. Optimized loading into well-decorated Dojos and fixed memory-limit crashes caused by the unoptimized code. Repositioned camera placement for Zaw and Amp screens. Tweaked the Ki’teer Cornu Diadem tint/diffuse to allow two color customization. Shortened default Stasis Recovery time from 3 hours to 30 minutes. Changed cost of Stasis Rush cost from 10 Platinum to 10,000 Credits. Tenno with the Nutrio Incubator Segment installed now have instant recovery from Stasis at no cost! Reduced Platinum cost of Companion Name Change from 25 to 15 Platinum to match weapon entitlement costs. Removed pickup limit on Kubrow Eggs! While this is largely under the hood, we want to detail out some changes we made to how Weapons are fired, particularly projectile weapons. We’ve added some new behavior that makes it easier to hit targets very close to the camera, eliminates strange sideways flying projectile and can be applied to any projectile (projectiles with gravity were previously excluded from the coolness. The basic idea now is: if you’re aiming at it, you’ll hit it. Added a progress wheel to UI to show Antitoxin Strength. Antitoxin console disables when strength is at 100% to avoid wasting Antitoxins. Slightly increased strength score of common and uncommon Antitoxins. Fixed incorrect Affinity reward scaling for Antitoxins. Fixed broken materials on the Antitoxin console. Disabled the “Change Loadout” button from appearing when an invite is up on screen. Additionally disabled the “Invite” button from appearing at the same time. The invite must now be dismissed before trying to invite someone to your game. This fixes the issue of being unable to accept invites while on Navigation using a controller since X opened the “Change Loadout” screen. We no longer force double-click to equip Arcanes when playing on a controller. Changed controller D-Pad icons to a solid button shape. Added quick button (X) for the Invite Button on the Invite Player screen when using a controller. Option can still be selected with the Virtual Cursor if desired. Controller icon callouts will now be displayed for currently bound actions when changing bindings. Fixed missing button callouts when placing decorations in the Dojo while using a controller. Fixed attempting to place decorations in Dojo by selecting the “Decorate” option doing nothing while using a controller. Fixed virtual cursor not highlighting options in the Dojo Room Options window while using a controller, making it unselectable. Fixed terms and policies text and Start button under the Warframe logo on login screen being incorrectly positioned when using a controller. Fixed being unable to select Warframes after purchasing a few Warframes consecutively while using a controller. Fixed an issue where pressing the pause menu button on controller causing a brief UI transition to mouse mode. Fixed being unable to move cursor with the D-Pad or use most quick buttons while searching for an item in your inventory using the on screen keyboard with a controller. Fixed D-Pad navigation going to the category tabs when attempting to modify some options near the top of the screen. Fixed the Clan search screen not having D-pad functionality. Fixed an issue with D-pad functionality not working on Polychrome in the Dojo. Fixed an issue where a list would ‘snap back to top’ when scrolling with a Controller. Fixed pressing the tutorial button in the Upgrade menu in the Arsenal incorrectly showing combos instead of the Modding tutorial when using a controller. Fixed being unable to back out of the Market after opening chat and selecting an item while using a controller. Fixed customizing your Operator causing them to spin while using a controller. Fixed being unable to select the Taveuni node on the Kuva Fortress if highlighting the text with the cursor while using controller. Fixed Sentient Cores disappearing after a Host migration occurred. Fixed blinding Eidolon fights among other things by making sure adaptive exposure was working on all FX in dark settings. Fixed a bug that inadvertently boosted Geometry Detail in some cases which led to performance issues on low-end machines, and poor looking distance details on high-end machines. All systems benefit from this bugfix, and now geometry will look better at a distance too! Fixed Stalker and Zanuka unable to target players after being Enthralled by Revenant or Chaos’d by Nyx, even after Ability expires. Fixed ability to damage allies upon firing the Lenz and having Mirage’s Hall of Mirrors expire before it explodes. Fixed certain wave projectiles (e.g. Arca Plasmor) bouncing off hit proxy shields (e.g. Volt’s Electric Shield, Gara’s Mass Vitrify). Fixed Void Strike (Madurai) not affecting the damage output of Flame Blast (Madurai). Fixed Transferring into Operator causing hold Abilities to continue holding until you Transfer back into your Warframe (e.g. Ember Fireball charge). Fixed Nezha’s Blazing Chakram stuttering for some Clients. Fixed Nezha’s Blazing Chakram flight path getting blocked by Swarm Mutalist MOA’s spores. Fixed blinding/deafening effects on NPCs clearing if their perceiver is unregistered and re-registered (e.g. stunned). Fixed inability to equip Pistol Skins on the Zylok. Fixed Nyx’s Chaos Sphere Augment being removed when another cast occurs. Fixed Nyx’s Chaos Sphere Augment script error. 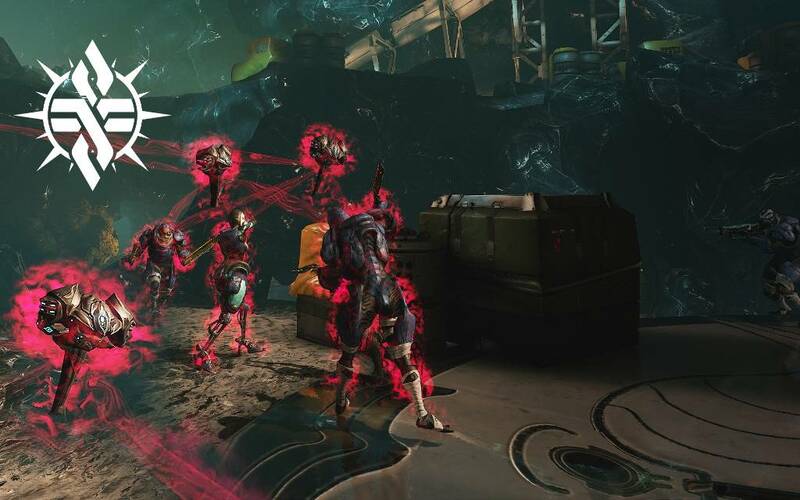 Fixed Clem Clones being infinitely spawnable in the Simulacrum. Fixed the Mote Amp having Arsenal stats for a secondary fire, even though it only has a primary fire. Fixed Zenith alt-fire projectile showing enemies with the Warframe Energy color. It now uses the Zenith Energy color. Fixed Tennogen Skins not applying the base Chroma mesh when toggle Prime details is flagged off. Toned down the FX for Mirage’s Hall of Mirror clones when firing the Phantasma. Fixed numerous Syandana placements when equipped on Rhino/Rhino Prime. Fixed the Syrinx Leg Plates partially clipping into the Banshee’s leg. Fixed Sugatras clipping through the Warframe’s hands when equipped on the Orthos. Fixed several Syandanas clipping through Trinity Primes skirt. Fixed certain Syandanas clipping through Chroma’s Dynasty Skin. Fixed the Ba’Geth TennoGen Tonfa Skin clipping through the Warframe’s arm when equipped. Fixed the Nosos Syandana clipping when equipped on the Banshee Soprana Skin. Fixes towards the Icarius Syandana clipping with several Warframes. Fixed an issue with incorrect text descriptions for Ruk’s Claw. Fixed misaligned Interception points in the Corpus Ship tileset. Fixed a pillar with no collision in the Corpus Outpost tileset. Fixed marker icons potentially having inconsistent scaling. Fixed overlapping screens when opening Navigation right before getting an Apothic transmission during The Silver Grove quest. Fixed Clients sometimes seeing a broken ‘progress’ bar throughout a Interception mission when joining a game-in-progress. Fixed seeing numerous copies of owned Syandanas. This cluttered up the Syandana Arsenal screen, so you will now only see 1 even if you own/are Gifted multiple. Fixed the mission timer stopping if the Host enters Navigation while it is counting down. Fixed the Eos Shoulder Plates causing Emblems to be different sizes on Deluxe Warframe Skins. Fixed an issue where guns that appear to fire from both barrels on every shot would only play the recoil animation on the right hand. Fixed several weapons appearing to have misaligned firing VFX. Fixed an issue where you couldn’t bullet jump off of a zipline. Fixed the Kunshu Syandana clipping with the back spine of Hydroid Prime with the Graxx Skin equipped. Fixed shields (Sigma & Octantis, etc) equipping oddly on Chroma Prime’s arm. Fixed Operator Arcane customization screen not actually saving Arcane changes. Fixed inability to use the Zanuka Beacon if Zanuka had captured you in the past. Fixed enemies being able to detect you through the glass in Grineer Galleon Spy Vaults. Fixed scrolling to the bottom of the Syndicate Tab in the World State Window and switching to the Fissure Tab sometimes resulting in no fissure missions being displayed. Fixed final door not opening in the first mission of the Glast Gambit Quest. Fixed player shadow flickering caused by welding lights in the Grineer Shipyard tileset. Fixed duplicate “distance to target” labels in Archwing Exterminate missions. Fixed equipping weapons on your Operator when recovered during Operator form in Zanuka recovery missions. Fixed bright flickering on Rell’s Donda market diorama in Iron Wake. Fixed weird player shadow flickering caused by welding lights in the Grineer Shipyard tileset. Fixed Silva and Aegis custom hoster positioning issues during certain attacks and when capturing targets. Fixed Sentinel “Sacrifice” mod sometimes failing to activate if a teammate tries to revive you and then fails at the last second. Fixed camera being stuck inside Martian Ancient Settlement Rock Formation decoration when attempting to place it too close to the camera in the Dojo. Now moving the camera back should help free you from its rocky embrace. Fixed buffs/debuffs permanently stacking on Zaws after activating and deactivating Titania’s Archwing. A common result was melee speed getting slower and slower. Now you’ll be slow no mo’! Fixed a hole that would allow players to leave the map in the Grineer Fortress tileset. Fixed a problem where some characters’ knees and elbows would move the wrong way. Fixed Limbo’s silhouette missing his hat when viewed through terrain or other obstructions. Fixed being unable to preview Instrument Pack sounds when clicking on them via the “Swap Melody/Bass/Percussion” menus. Fixed being teleported to the entrance of the (non-custom) Dojo Obstacle Course room when falling off the edge in Operator mode, instead of being teleported to the beginning of the Course as intended. Fixed being able to bullet jump out of the elevator and out of the map in the Infested Ship Tileset. Fixed an issue with the platforms being far too bright white in Mastery Rank 10 making it hard to see. Fixed some decos in the Plains of Eidolon and Cetus remaining dark while everything else brightened during the Night to Day transition. Also fixed an issue with some decos suddenly popping to bright day colors. Fixed flicker in the sky during Day/Night transition in the Plains of Eidolon and Cetus. Fixed a progress stopper in The War Within’s “Infiltrate the Grineer Asteroid Fortress” mission. Fixed players being able to progress in Vor’s Prize even if they have not crafted the Ascaris Negator and completed the tutorial. Fixed Eximus units sometimes not having their red aura. Fixes towards fly in cinematic showing Galleon ship instead of Planet Earth during The Silver Grove Quest. Fixed Mastery Rank 23 test failing causing the game to lock up if completed with very little time remaining. Fixed Corpus Outpost skybox fog issues causing there to be floating terrain in the distance. Fixed clipping issues with Umbra’s loin cloth. Fixed black and untextured wreckage pieces in the Archwing Interception mission. Fixed enemies getting stuck in ice walls in Stöfler Defense mission on Lua. Fixed an issue where chosen UI theme or background options on the login screen would show defaults from the previously logged in player. Fix Umbra being equipped if you fail/abort the “Confront Umbra” mission and then inventory sync fails. Fixed other players being capable of activating vanishing platforms in Dojo custom obstacle courses while another player is running the course. Fixed Clients being unable to see the portal VFX in Lua Rescue missions. Fixed enemies getting stuck climbing boxes on loop in Earth Defense missions. Fixed the Lex and Lex Prime having no revolver magazine or fire sounds with the Perla Pistol Skin. Fixed an issue where using the Codex, Mod screen, Foundry or Incubator would leave your head tracking stuck at whatever the last “diegetic position” was. Lowered brightness on key skylights to mitigate incredible blowout on white walls in the Orokin Moon tileset. Fixed blowout on foliage from spotlights in Cetus. Fixed an issue where Clients joining in progress missions may not be able to find the player who picked up a pickup, resulting in the pickup becoming available again if that client then became the Host after a host migration. Fixed rare case where player could get stuck in falling boulder while playing the Apostasy Prologue. Fixed minimap border being visible in full map in Corpus Ice Planet missions. Fixed the Treasure Hunter challenge not working for Clients. Fixed door at the base of the elevator appearing black in Corpus Outpost Defense missions. Fixed steam clouds in Grineer Settlement missions appearing much more intense then they once were. Fixed hostage standing in the rescue room with all of the portal panels instead of hiding in one of the portals on Zeipel, Lua. Fixed issues with enemy AI in Grineer Shipyards Defense missions. Fixed Gems mined in the Plains of Eidolon not showing up in the Mining tab in the Foundry after they’ve been refined. Fixed map remaining on screen in decoration mode in the Dojo. Fixed crash that would occur on the first mission on Earth during The Sacrifice Quest. Fixed script error that could make it impossible to use Transference with Umbra during the Chase Umbra mission in The Sacrifice Quest. Fixed death cam appearing out of the level when killed by Umbra during the “Confront Umbra” mission in The Sacrifice Quest. Fixed Umbra running around in circles lost looking for player if the player is standing on a specific ledge during the “Confront Umbra” mission in The Sacrifice Quest. Fixed nav issue in the Grineer Shipyard Defense tileset. Fixed invited guests in Orbiter seeing Warframe Statue stuttering in Personal Quarters. Fixes towards Ambulas dropship material issues. Fixed electric water in the second mission of Vor’s Prize not dealing damage to players. Fixed bugs related to previewing UI themes. Fixed a number of issues with AI animations when deciding to switch between cover, shooting, running, and flanking. Fixed issues with AI getting stuck in spawn areas on Lua Defense missions. Fixed issues where the Mastery Rank 13 test could become uncompletable. Fixed an issue where Warframe hands and Melee weapons would jitter when rotated. Fixed an issue where opening the Starchart would hang if a player has an overabundance of ship decorations. Fixed reload animation issues with the Rubico Prime. Fixed issues with Excalibur’s Pendragon helmet cloth lagging at lower framerates. Fixed issues with Excalibur Umbra’s scarf disconnecting at times. Fixed an issue where using Arching Launchers in the Plains of Eidolon and a Remote Observer would permanently detach a player’s camera. Fixed an issue where Archwing Launcher would not play proper sounds when unequipping. Fixed Mods not displaying on pickup when driving a Dargyn. Fixed issues with Vauban’s Citadel Axe Skin now showing proper open/closed states when browsing. This also fixes a similar problem with the Silva and Aegis. Fixed an issue with missing Affinity when destroying an Eidolon Synova while not in Operator mode. Fixed an issue with the Music Volume slider not affecting Mandachord songs in the Somachord. Fixed an issue with missing ‘Zenurik’ Mod filtering options when Modding Archwing. Fixed an issue that would occur with Squad markers turning into a green circle in some transitions. Fixed an issue with cloth separating from the body at low framerates. Fixed issues with Articula not playing nicely with nun-chuck style weapons. Fixed an issue where getting stuck in a forward-walking position could occur if activating a context action while moving. Fixed issues in Europa tiles where players could escape the map. Fixed numerous clipping issues Syandanas on Ash Prime, Hydroid, Trinity Prime, and Frost TennoGen Skins. Fixed an issue with Sentient Cores disappearing after a host migration. Fixed missing Syandana offsets on Nezha Empyrean skin. Fixed issues with the Kronen Prime not behaving nicely in the Foundry and Arsenal. Fixed issues with armor and Emblems not playing nice with the Oberon Blade of the Lotus Skin. Fixed a missing idle animation for the Gammacor. Fixed gravity not affecting certain Warframe abilities at all when aim-glide was held. Fixed some gear items not being consumed as Operator (i.e Scanners). Fixed Steel Meridian Allies not reloading correctly. Fixed health bars over enemies and decorations remaining visible when they are no longer on the screen. Fixed Gram Prime not using correct sound FX. Fixed the Attica playing sounds at a lowered pitch. Fixed various audio issues with Chroma’s Spectral Scream ability. Made numerous fixes to Discord Rich Presence. Fixed a level hole in the Grineer Settlements on Mars. Fixed a level hole in the Grineer Forests on Earth as well as improved navigation for AI. Fixed an issue where certain elemental FX would appear behind the player in the Arsenal. Fix an issue where switching from Sentinel to Kavat/Kubrow in the Simulacrum Arsenal would lead to heavy spot-loading. Fixed see-through platform on the Grineer Shipyards tile set. Fixed holes in the vents on Laomedeia Spy on Neptune. Fixed an exploit that allowed players to use unlocked colors via the favorite colors menu. Fixed Grineer patrollers standing around when night falls on the Plains of Eidolon if they were too far from base. Now they will continue their patrols when the sun sets instead of taking an extended break. Fixed bushes getting a little too excited in medium/high wind on the Plains of Eidolon. They should sway more realistically now. Fixed Plains of Eidolon capture objective failing if no players could be found near the Capture Target. Fixed some enemies changing color upon death. Fixed squadmate riding a Dargyn not being teleported to Cetus doors when the extraction timer hits 0:00, resulting in them having to walk/fly to extraction themselves before the team can extract. Fixed Nikana Zaw unsheath and spin sounds not playing on idle animation. Fixed issue where the Arsenal would freeze when loading a large number of Melee weapons. Fixed issue where Landing Craft cutscene didn’t play when entering a Relay and Landing Craft didn’t appear at the Hangar. Fixed some Refined Relics not appearing as owned in the Codex. Fixed the Revenant Warframe Blueprint not appearing in the Codex as a reward under any Eidolon variant. Fixed Cold Status Effect icons not appearing on certain Mods. Fixed changing the color of a Cernos weapon resulting in the bow string to be loose and then pulled back. Fixed the Tigris firing when doing a roll animation. Fixed issue where players were forced to wait for the countdown timer to finish in Endless Void Fissure missions if the “Sort by” menu was active when the timer began. Fixed a crash in the Sacrifice that occurred if an Operator hadn’t been upgraded. Fixed roman numerals in titles using both capital and lowercase characters. They now appear as all capitals. Fixed enemies frequently spawning behind walls on the Mars tileset. Fixed a level hole in the Cambria tileset on Earth. Fixed level holes in Lua Extermination tilesets. Fixed level holes in the Grineer Asteroid tilesets. Fixed “Press 5” prompt not appearing during The War Within Quest, halting progress. Fixed issue where some large fish would clip through the Warframe’s head when the fish was being held. Fixed script error that appeared when selecting an incubating Kubrow from the Arsenal. Fixed the musical note trail moving erratically during Octavia’s Anthem Quest. Fixed cases of audio being muffled during Void Defence missions. Fixed issue where a hacked door panel would not open until the player had moved away from the door. Fixed deselecting an Arcane not removing the complete Credit value in the Inventory sell screen. Fixed issue where, when players reviewed their Profiles while in the trade item selection window at Maroo’s Bazaar, their information would appear behind items. Fixed issue where two cursors appeared when players selected their first Warframe. Fixed rocks in Cetus and on the Plains of Eidolon appearing shiny and damp even when it was not raining. Fixed Vauban Citadel Skin and some Syandanas having invisible collision which caused them to float or get twisted when equipped. Fixed issue where Umbra would stand still if the Operator jumped onto a certain platform during The Sacrifice Quest. Fixed missing textures on the Xiphos Landing Craft. Fixed issue in Landing Craft Decoration mode where fast camera movement would clip out of the Landing Craft. Fixed issue in the Plains of Eidolon where fishing Bait and Dyes did not float after a Host migration occurred. Fixed script error occurring when interacting with Polychrome in the Dojo. Fixed issue in Stolen Dreams where Maroo would stand still instead of dropping to the ground when the player would take her down to Capture her. Fixed Rescue Target AI breaking if players hacked the rescue cell with their Operators then switched back to their Warframes. Fixed issue where the Index would get stuck if there was a Host migration during the rewards screen between rounds. Fixed issue where there was a large hitch when a player clicked Randomize under the loadout button. Fixed Noggles appearing excessively large for a frame or two when first logging in. Fixed a map hole on Lua. Fixed issue where weapons held by Mirage’s Hall of Mirror clones made a firing sound. Now, only Mirage’s weapon can be heard. Fixed kills achieved by Warframe Abilities that summon AI (Rumblers, Shadows, etc) not counting towards Conclave Challenges. Fixed an issue where ending a Conclave match with a Radiation Status Effect would treat you as if you were on the opposing team. Fixed not being able to pick up the Cephalon if it was dropped in the air in Conclave. Fixed Cephalon Carrier time not resetting upon getting a kill in any Dedicated Server matches. Fixed Lunaro lobby lighting being too bright to show team flag designs in Conclave. Removed unintentionally released Challenge. You saw nothing. Fixed sometimes crashing and failing to update in the Warframe Launcher. Fixed Zaws having incorrect values with Range mods, intended ranges have been restored. Fixed weapon trail FX appearing on the Falcor in the Orbiter. Fixed weapon trail FX for the Falcor not showing for quick-melee attacks. Fixed all variants of the Strun playing animation and sound FX on reload but not adding ammo to magazine, causing it to get stuck in a reloading loop. Fixed abilities that can be cast midair (Saryn’s Miasma for example) no longer preserving aim glide momentum when they hit the ground. Fixed being unable to fully charge Staticor if it is attempted without having firing it before hand while using a controller. Fixed nodes that are uncompleted and locked without a key (Derelict) in the Star Chart not flashing blue to indicate they are not completed. Fixed a crash when entering Cetus from the Plains. Fixed Fish appearing giant in Personal Quarters Aquariums. Fixed flickering FX during certain moments in The Sacrifice quest. Fixed Sildarg Syandana clipping with a few Warfame Skins. Fixed issue with trying to claim a recipe reward on “choose from 3” login reward days. Fixed potential crash at end of mission. You can now swap your A B C Appearance loadout order in the Arsenal! Heavy Blade and Hammer Zaws now have a Range of 3 meters which should fix the continued inconsistency since the Mainline. Restored Venka Prime’s 0.75 Melee Combo Multiplier. Removed the requirement to be higher than Initiate to replicate Clan Research – further review of this initial change is required. Reduced some distortion on Radiation Status FX. Removed some unnecessary sounds from the Daily Tribute UI. Removed an extra Icon on the Dojo minimap. Minor sounds mix adjustments to Melee slide attack / heavy attack / slam attack. We have live fixed Arbitration missions rewarding the incorrect amount of Vitus Essence at End Of Mission, and inability to complete the Mastery Rank 26 test. Fixes towards a crash related to Discord. Much love to Discord for diagnosing and implementing the fix! Fixed a crash that occurred after a Host migration if you had an active Specter. Fixed a crash when joining a Lunaro match. Fixed a crash when attempting to Grab in Frame Fighter. Fixed earning multiple Ayatan Statues in an Arbitrations mission, but only receiving one once returning to your ship. Fixed Defectors falling through the floor in the Corship Ship Defection tileset, resulting in inability to extract. Fixed Defection missions not spawning the correct number of Colonists, and therefore not counting rescued squads correctly. Fixed < and > characters causing input boxes (search bars, password, etc) to break. Fixed the Cetus tower appearing too large in the Star Chart. Fixed Blast Status FX showing on invisible weapons. Fixed Grineer Flameblades freezing up in animations when dropping from the Dropship in the Plains. Fixed some weapons (Dakra Prime, Deimos Claw Skin, etc) having an incredibly long weapon trail FX. Fixed skyboxes unintentionally getting too dark when turning FX settings down in the Options. Fixed a script error when casting Nova’s Null Star ability. Fixed a script error when casting Revenant’s Mesmer Skin ability. Fixed a script error when casting Nezha’s Warding Halo ability. As mentioned in Hotfix 23.10.2, the earliest ETA on fixes for Operator cosmetic issues were designated for today, but it’s taking longer than expected. The team has two plans in place to get your Operator fashion frame back into shape as quickly as possible: a revert and a more careful re-release.. This revert itself is also very involved due to the large quantity of content that was changed, so this will take a bit more time. Worry not, they’re dedicated to restore and elevate Operator Fashion Frame to its glory – we thank you for your patience! A more careful re-release that better respects seams and existing looks will come! Added Prime grip trail colour FXs. The Gear Spiral now restricts duplicate Gear items (Apothics, Stims), with the exception of Dragon Keys! The bug turned feature of ability to equip all Dragon Keys shall live to hobble another day! Reduced the sound of Chat notifications. Fixed clogged spawn flow of Corpus enemies on Interception/Defense Corpus Ice Planet tileset. Enemies were observed getting primarily stuck in the initial spawn room. Fixed numerous issues with Drone-type enemies not traversing at all in Defense missions. We’re aware and investigating an issue with the Mask of the Revenant quest not progressing once you meet the prerequisites listed in the Codex – hold tight while we solve! Fixed a crash that would occur on 32-bit systems when loading Cetus / Plains of Eidolon. Fixed various crashes and game hangs. Fixed various script errors that would occur while using the new Gear Wheel. Fixes towards a script error upon entering/leaving the Plains of Eidolon. Fixed an issue where Power Donation could allow for true <0% Power Strength scenarios. Fixed Khora Accumulating Whipclaw Augment success sound playing even when you don’t have the Augment equipped. Fixed the Arca Plasmor’s projectiles bouncing off walls instead of exploding on impact. Fixed an issue with the Daily Tribute tooltip showing ’80 Endo’ at all times, even when it is not 80. Fixed an issue where Dynamic Exposure would randomly turn everything black. Fixed the Kunshu Syandana having invisible collision on Saryn Skins. Fixed the Sildarg Syandana clipping through Saryn Skins. Fixed the Nidus Phryke Skin appearing to slightly shake when viewing the Star Chart. Fixed some lurking [PH] tags. Fixed some missing text strings. As mentioned in Hotfix 23.10.3, the team has two plans in place to get your Operator fashion frame back into shape as quickly as possible: a revert and a more careful re-release. This revert itself is also very involved due to the large quantity of content that was changed, but we’re very close to putting the revert live after a bit more testing! Revenant’s Reave now follows the direction of your reticle as opposed to always in a straight line. This allows you to steer it freely. You can of course maintain the original behaviour of a straight line by simply not aiming your reticle, but for those of you wanting better control over where Reave goes are now able to freely steer! Corrected Infested Charger jump-down animations so they land at the correct height. Minor sound balancing and design updates to new melee sounds. Minor updates to jump slam sounds for Melee Hammer weapons. Further improvements to Locomotion code that triggers when bad AI pathing occurs. Fixes towards broken AI spawns in the Grineer Forest tileset. Fixes towards AI becoming stuck in the Corpus Ice Planet tileset. Fixed Mask of the Revenant quest not progressing once you meet the prerequisites listed in the Codex. If you were affected by this bug, talking to Nakak in Cetus will allow you to progress. Fixed a crash that could occur in the Warframe Launcher. Fixed a crash that could occur when in the Plains of Eidolon due to the Fishing Gear. Fixed the Adaptation Mod sometimes making players completely invincible. Fixed Mesa’s Shatter Shield not functioning properly. Fixed some enemies (e.g. MOA’s) getting permanently stuck in looping reaction animations in Void Fissure missions. Fixes towards Scanners not functioning for Clients. This also fixes cases where Helios would not scan new entries. Fixed Volt’s Discharge not hitting any enemies after reaching Zone 2 in an Sanctuary Onslaught mission. Fixed inability to Channel your Melee weapon while sprinting. Fixed cases of Orbiter Decorations disappearing. Fixed Gifting of Warframes showing “item already owned” error. Fixed several Conclave Mods missing descriptions. Fixed some weapons missing new sounds. Fixed the Paracesis having incorrect Mod capacity at Rank 30, which resulted in certain Mods not functioning correctly. This also fixes not being prompted that an equipped Mod that you are Ranking up via Endo exceeds the max Mod capacity and to uninstall. Fixed ability to Forma the Paracesis for the second time when it is not at its ‘max Rank’. Added an ‘Auto Install’ button to the Ayatan Sculptures screen for Mastery Rank 10+ Tenno! This long requested feature allows you to auto install Stars from your Inventory to your Ayatan Sculpture with one-click. Added ability to swap your Mod loadout order in the Arsenal! This works the same way as dragging/dropping your A B C Appearance loadout order. Added a Decoration called the ‘Note Beacon’! A beacon capable of displaying custom messages that can be placed in both Orbiter and Dojo! Added an FX to the Energy Orb dropped by Deth Cube with Energy Generator equipped. Reverted Operator Suit Mesh Changes introduced in Update 23.10.0 to restore Operator Suit Meshes to their pre-Update 23.10 state. A more careful re-release of the Operator Suit Mesh Changes will come at a later date. Vigorous Swap will now deactivate when an Ability weapon is active (Mesa’s Peacemaker, Valkyr’s Hysteria, etc). Improved text spacing in the Squad Panel UI by auto scaling the list. Removed the unnecessary ‘RELIC’ text from the Squad Panel UI. Localized languages will see improved text spacing with this removal. Adjusted Daily Tribute Transmission text scale and aspect ratio. Improved AI navigation in Sanctuary Onslaught and Plains of Eidolon Bounties. Fixed inability to collect a Mandachord part in Octavia’s Anthem quest which halted progression. Fixed Defection missions being unplayable when picked for an Arbitration. Fixed erroneous Bounty matchmaking cases. This was triggered by selecting a Bounty, cancelling said Bounty and then selecting a different Bounty, upon which you would matchmake with the cancelled Bounty. Fixed cases of Arbitration boons not being applied to Prime Warframe variants. This applies to weapon variants as well (Cernos vs Rakta Cernos). More fixes towards the Adaptation Mod sometimes making players invincible. Fixed cases of Bounties failing when trying to start a Cave Encounter in the Plains. Fixed Mesa’s Shatter Shield and Chroma’s Cold Elemental Ward not damaging certain enemies. Fixed Inaros’ Sandstorm radius stat showing diameter. Fixed the Ammo Case Mod not functioning for Clients after going in and out and then back in to the Plains from Cetus. Fixed the Sentinel Burst Rifle muzzle showing all 4 frames of the texture. More fixes towards Grineer Couriers flight navigation in Archwing Pursuit missions. Fixed rare case of hearing random jumbled dialog when loading into Maroo’s Bazaar. Fixed the back button not working when picking Gear Spiral items in the Arsenal. Fixed the Emotes wheel in the Arsenal not defaulting to the currently equipped Emote in the chosen slot. Fixed two equip buttons appearing when using mouse and keyboard. Fixed unreleased LOC string appearing when a Cache Encounter spawned in a Cave in the Plains. Fixed the Grineer Exhaust Fan Decoration having an incorrect description. Fixed a script error when Upgrading Mods at the Mod Station. Fixed a script error when accessing the Gear Spiral. As we inch closer to the eventual and inevitable launch of Fortuna, it’s a better time than ever to enable 2FA. It’s quite simple, hit that ‘enable’ on https://www.warframe.com/user and you’re all set after verifying it. Improvements towards Vomvalysts spawning underground while fighting the Teralyst and Hydrolyst. Removed unnecessary error prompt when canceling a Catalyst/Reactor installment. Removed Platinum price being listed in the weapon selection screen when crafting a weapon that requires another weapon. Removed outdated Design Council Tips from loading screens. Removed [PH] tags from Clan activities in Chat. Fixed inability to defeat the Juggernaut due to no weakpoints opening. Fixed Lynx not engaging or reacting to players attacking it. Fixed Zura (Rathuum) not engaging players. Fixed Palladino not engaging enemies during the Chains of Harrow quest. Fixed Grineer Dropships immediately dropping passengers upon arrival in the Plains. Fixes towards inability to match-make when selecting a Ghoul Bounty. Fixed loading into a default Dark Sector mission instead of the intended Arbitration mission. Fixed the camera doing a large movement after Auto Installing Stars into your Ayatan Sculpture. Fixed being able to skip selecting a Daily Tribute reward when using a controller. Fixed a script error in certain Grineer Sealab Defense missions. Fixed Set Mods having broken descriptions. We have two relatively minor changes for Arbitrations this week – we are still working on bigger picture changes and improvements to the mode as a whole which require more testing and development. Arbitration Drones are now exempt from Infested Ancient Healer Auras. Reduced Arbitration Defense Wave length to balance mission time played in comparison to Arbitration Survival missions. Made some micro-optimizations to Dojo loading. Returned the Dera and Dera Vandal to it’s barrel alternating VFX. Improvements towards AI jumping onto crates for no logical reason. Improvements towards AI getting stuck on doorways. Fixes towards AI not spreading out between different navigation paths and instead all queuing at one. Fixes towards an occasional crash related to memory. Fixes towards a loss of functionality when hovering over the Featured Dojos in the Star Chart. Fixed the Judicial Coils not appearing on female Operator faces. Fixed wearing Operator Masks with ‘Hood Opened’ causing facial accessories to be hidden. Fixed cases of swapping Warframe Appearance loadouts resulting in more than one loadout being active. Fixed cases where players could fall through certain platforms in Relays. Fixed Khora’s Venari being invisible in the Cetus Arsenal when accessing it as the Operator. Fixed inability to select items/Emotes when in the respective Gear spirals when using a controller. Fixed inability to select an Emote in the Dojo when using a controller. Fixed script error resulting in black icons to appear in place of HUD buffs when the Adaptation Mod is equipped. Fixed a script error when buying a Dual Pistol Skin or Bundle that contains it, upon selecting a Skin for a single Pistol. Fixed a script error when casting Octavia’s Metronome ability. Fixed a rare case of UI breaking with fast mouse speeds. Fixed the Ambush Mod having an inaccurate description. Now it mentions that the extra damage is granted specifically to weapons. Fixed certain Clan stats in the Profile Stats section not appearing for Clans created. Fixed the Clan Hall having an incorrect description. fixed an issue that was preventing a small number of players from logging in. fixed an AI bug in Arbitration Defense missions that was causing enemies to stand around after spawning. fixed a crash that could occur if a clan notification message was received while transitioning between levels. NOUVEAU : Guide Chroma !